One million march in Havana. At 6 a.m. on May 1, the Havana sky was dark, but the intersection of the tree-lined Paseo boulevard and Avenida 23 was already packed with May Day marchers waiting for their contingents to form, talking, drumming and blowing noisemakers. Children were perched on parents shoulders to get a better view. I too was waiting — a little worried about how the International Committee for the Freedom of the Cuban 5 would find me among the high-spirited Cuban workers and their families. But of course from its earliest days, the Cuban Revolution leaves no one behind, and I was not an exception. This was a special year for the Cuban people. Two of the Cuban 5 heroes have returned home, although only after serving their full, unjust prison terms in the U.S. Liberating the remaining three — who are still held in the prisons of the imperialist empire — was clearly a high priority for the marchers, with homemade signs and banners calling for their freedom interspersed in all the contingents. 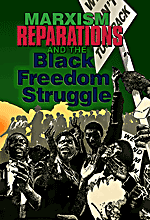 Although I am a veteran of the huge, anti-Iraq war demonstrations before the U.S. invasion of that Middle Eastern country, and even earlier ones, the only mass mobilization in my experience remotely on this scope was the huge 2006, no-work, no-school, no-shopping, immigrant rights May Day march in Los Angeles. 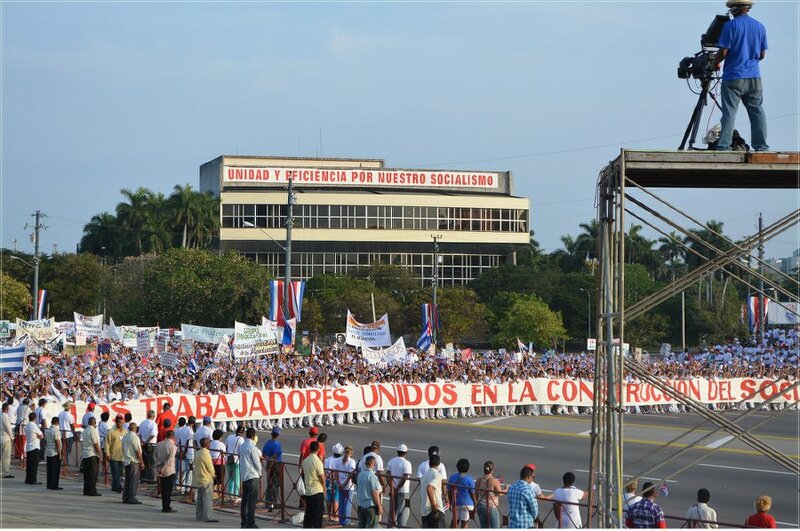 As 2006 reverberated in cities large and small across the U.S, each of Cuba’s provinces turned out for the massive Cuban 2014 International Workers Day celebration.